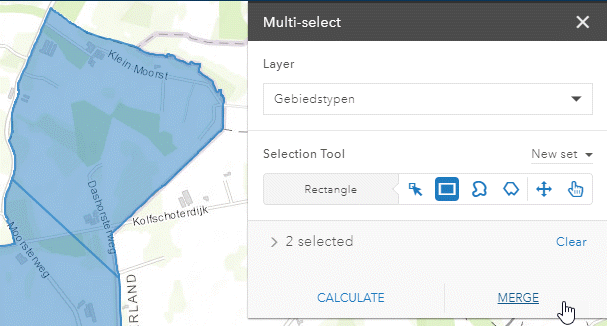 We recently updated GeoPlanner for ArcGIS to version 2.5. This was another big release! We added lots of new functionality, including bulk moving of features, accessing custom Geoprocessing services and creating stencils. Many of you contributed comments and opinions. Have a read below and you’ll see that we listened! Many of you told us that you wanted to import more data at once into a scenario. We did it! At this update, you’ll be able to import 10000 polygons, 15000 lines, or 25000 points at once into a scenario using either the Import Scenario or Add to Design Layers tools. If you want to add more data, you can start by using either tool (Import Scenario or Add to design Layers), and then append more using the Import Scenario tool again. Just be careful to not import the same data twice! GeoPlanner charts show how a plan impacts an area by summarizing models by plan features. This helps you decide where to develop or conserve. At this update to GeoPlanner, you can now enrich features with model scores. You may know this tool as Zonal Statistics in ArcGIS Pro or Desktop. This tool will add a weighted average of model scores within a feature. You can then symbolize on that score so you can see and rank your data based on impact. This will help you understand the best places for development, conservation, and other activities. Bring your own analysis to GeoPlanner! At this update, you can use geoprocessing web tools in GeoPlanner for ArcGIS. Search and execute custom geoprocessing services to access powerful analytical tools that help you make better decisions about your community’s assets. Design software usually includes reusable shapes to help you be more productive when sketching. Reusable shapes like squares, rectangles, ovals and circles help you rapidly place, move and reshape things so you can focus on more challenging tasks. At this update to GeoPlanner, you create stencils from any shape you draw, import or otherwise place on your map. Simply click on a feature, choose Import in the pop-up, and select Stencils from the dropdown. Then, in the Design > Drawing Tools toolbar, click the stencils dropdown to find and place your newly created stencils. Units of land, like parcels or lots, are frequently subdivided or combined during the process of designing changes to a community. Earlier in 2017, we added support for a split tool. At this update, you can now merge features. 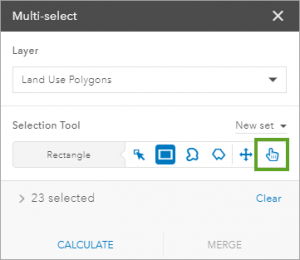 This tool allows you to select two or more polygons and combine them into a larger unit. You can merge features that touch to create larger areas or merge features that do not touch to create multipart polygons. Merge is another design tool to help you envision improvements to your communities, assets, and shared resources. In addition to selecting and merging features, you can now select and move multiple features. Again, you requested this and we have delivered it! This comes in handy when there are multiple features on your map and you don’t want to move each one individually. Try it out! Now that you can add more features to your scenarios, you are going to want to set a visible range at which your data displays. Why? Because displaying 10000 features at once will result in a cluttered map! At this update, you can control the scales at which your data draws so your maps and layers appear more organized. You also won’t have to wait for all of your data to display. GeoPlanner is a collaborative planning and design app. It has always had a mechanism to invite any ArcGIS Level two account to work with you on a project. At this update, they can accept invitations in the app so they can start working with you almost immediately. This will make it even easier for you to work on collaborative designs so you can harness the creative vision and analysis capabilities of your teammates.